"Hallmarks of distinction worthy of your labor"
From design and layout, to methods of application, NORCRAFT is the source for all your branding requirements. Check these outstanding features from Norcraft! 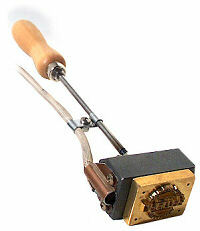 For intermittent or periodic use, brands are furnished with a steel shaft and wooden handle. They are easily heated with any gas flame, even on the heating element of a kitchen electric range. Initial heating will take 3 to 5 minutes, depending on the size of brand and method of heating. When proper temperature is reached for your particular branding application, the heavy brass head will hold the heat for five of more sharp impressions on wood, leather and other materials. If needed, re-heating will then take just 2 or 3 minutes more for another series of brandings. 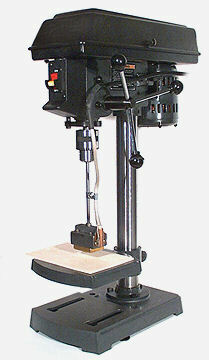 When production warrants its use, an electrically-heated head is available. These are heavy-duty production type units with ample wattage matched to the size and mass of each brand. Once heated to the proper temperature (10 to 15 minutes, depending on the size and heat required for your particular branding application) the branding operation can be continuous, with no waiting for the brand to recover heat lost through branding, due to the unique design of these heating units. The heating head has a steel shaft designed for a press type application when repeated impressions are desired at a particular location on your work piece. This can be accomplished very easily in a drill press (power off, of course), using this up and down action with guides and stops on the drill press table for proper alignment. It also can be mounted in a vise, head up, and irregular shaped pieces (decoys, carvings, turnings, etc.) pressed down onto the brand by hand. Brands are machine screwed onto the cast iron heating head, allowing other brands of similar size or smaller to be interchanged on the same heating head. A template of the screw placement of each customer's brand and heating head is kept on file by Norcraft for this purpose. Norcraft has been designing and manufacturing custom branding equipment for over 20 years, serving industry as well as the home craftsperson with "Hallmarks of distinction, worthy of your labor." We can work from your rough sketches of artwork, and will be happy to offer suggestions and/or recommendations to produce a brand to suit you needs. As with any custom work, pricing will vary depending on the amount of work involved. 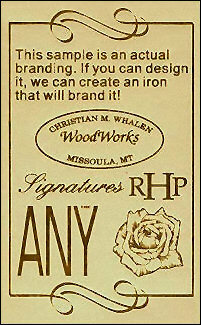 We will gladly quote a firm price or assist in designing your branding iron upon receipt of your specifications. 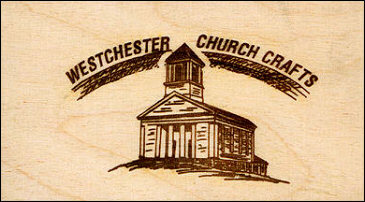 The following information will be helpful in designing, or quoting for, a custom branding iron to suit your requirements. Norcraft branding irons are easily heated for intermittent or periodic use. I do not build the "hobby type" lightweight electric branders. For continuous or repetitive use, see description above for production type electrically heated units. Furnish rough sketch as you picture your brand, with approximate overall dimensions. If you already have a digital file, email it to me in a vector format such as an ai., eps. or pdf. file. Furnish artwork if available. Same size black and white preferred, I can enlarge or reduce if needed. Furnish sample as wanted, black on white image is best and I can scale to the size required. I can work from a paper or digital image. For basic identification, ZIP code, telephone number and street or box number are not always necessary. Keep layout simple and compact for best application.